Andy is founder and president of Bombadil, LLC, which was established in 2004. 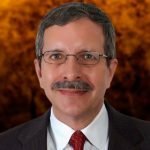 His experience brings a unique blend of both the theoretical university professor and street-wise sales warrior to sales training and consulting. Andy’s expertise has helped senior leaders and business owners to re-energize their sales efforts and create a corporate paradigm shift in their sales approach. He coaches sales teams on how to engage clients in serious conversations; a practice which which leads to material, profitable sales increases. 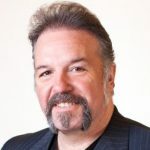 Though he describes himself as a sales theorist, his approach, the Urgency Based Selling® System, is built upon the more than 4,000 direct sales engagements Andy has personally performed. Andy’s greatest reward is helping sales teams accomplish results they considered impossible to achieve. 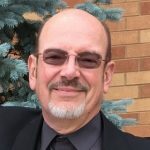 Dan has spent more than 28 years in outside sales, primarily in the media industry: print, radio, television, and film. Dan began sales training and coaching in 2014. His enthusiasm, wisdom, and unique style and approach to teaching and has resulted in successful solutions for his clients and students. Salespeople who work with Dan are equipped with the insights and techniques they need to confidently sell their products and services. At his core, Dan loves selling and teaching the art of selling. Helping others is his biggest reward. Wayne has collaborated with Andy and his clients for over a decade, producing powerful and effective proving kits and splashes. Wayne operated his own firm for 23 years, providing branding services and designing websites and marketing materials for clients including Mercedes-Benz, Ford Motor Company, American Express, Adobe Systems, BMW, and many more. You’ve met our team. Now let’s talk about achieving epic sales results for your company.